Proper Auto A/C Vent Temperature: How Cold Or Hot Should It Blow? The weather is scorching hot outside, and you get in your car expecting a cooling breeze from the air conditioning, and instead, it’s pumping warm air into an already overheated cabin. It’s a scenario that happens time and time again. We expect the air conditioning and heating systems in our vehicles to work regardless of the temperature outside, cooling us off in the summer, and warming us in winter. 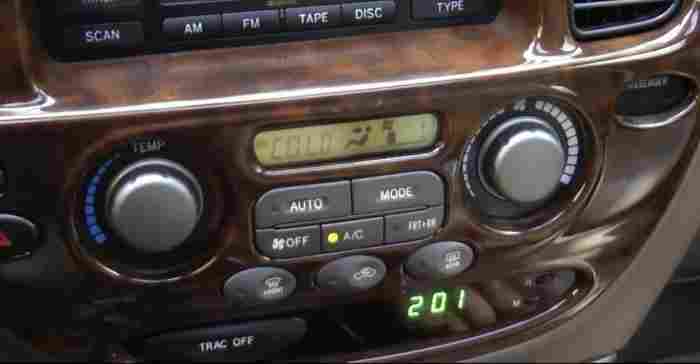 Modern cars these days are fitted with an air conditioner as standard rather than just a heater. Traditionally vehicle manufacturers relied on the vehicle’s engine to power the air conditioning unit, nowadays more and more cars and trucks are being fitted with electrically powered air conditioners. Air conditioners linked to the engine are a massive drain on power and make a mockery of the mpg figures, so are going out of fashion. Whatever air conditioning system is fitted to your car or truck, it’s essential they work at their most efficient and do what they are supposed to, and cool you down when things get a little heated. As a rule of thumb, the hotter the ambient temperature outside, the warmer will be the air entering the cabin the vehicle from the air conditioner, and the temperature difference will be at its least. The thermal efficiency of an A/C unit falls as the air entering the system rises. Just to make it clear, the air conditioner is generally used to cool the inside of a vehicle, the heater is often linked to it so both can be used for defrosting in the winter. The air conditioner dehumidifies the air inside the cabin, so windows do not fog up on cold days and reduce visibility. The heater gets its heat from engine coolant passing through a small radiator known as a heating core. A fan pushes outside air over the heating core, which is then warmed and vented into the car’s cabin. You’ll need a thermometer with a long probe that can go into the center air vent on the dashboard of your car. They are readily available at most auto parts stores and cost just a few dollars. 1. Park your vehicle in an outside area away from direct sunlight. 2. Measure the temperature outside the vehicle. This will help determine if the air conditioning is working efficiently. 3. Close all the windows of the vehicle, and the air vents apart from the center air vent on the dashboard. 4. Start the engine and turn the air conditioner to the coldest setting possible, and with the fan at its slowest speed. 5. Allow a little time for the A/C to work. 6. Place the probe thermometer into the only open air vent and after a few moments check the reading. 7. With an outside temperature of about 90F (32C), you would expect a thermometer reading of between 40F-50F(5C-10C) in the air conditioning duct. Anything above this would require servicing by a qualified auto air conditioning mechanic. Each particular vehicle manufacturer has their own specifications for their air conditioning systems, and it would be worthwhile checking their website for information about your specific model. These values from Honda, and can be taken as a generalization for most vehicle air conditioners. What’s wrong if the temperatures are too high? There can be a number of reasons why an A/C system has lost its cool. There has been a loss of refrigerant. This is most often caused by the failure of a seal or a hose. The gas used in A/C units contains an oil to lubricate seals within the system. If it is not used for some time, these seals can dry out letting refrigerant escape. The expansion tube or refrigerant charging hose may be clogged. The compressor clutch or the compressor itself may have failed. The motor on the blower may have failed. Less likely is that the condenser or evaporated may have a problem. There could also be vacuum leaks within the system or failed fuses, which can be easily replaced. Catching a leak in the system early is imperative. If moisture is allowed to get into the system, it could damage vital and expensive parts. If you think the heater system on your car is not performing as it should, the first option is to a test drive check. Take your car out for a drive, and wait until the engine temperature is in the normal zone on the dial. Once everything is warmed up, turn the heater up to hot, and select the blower to a medium/high speed and have it directed to the feet or floor. 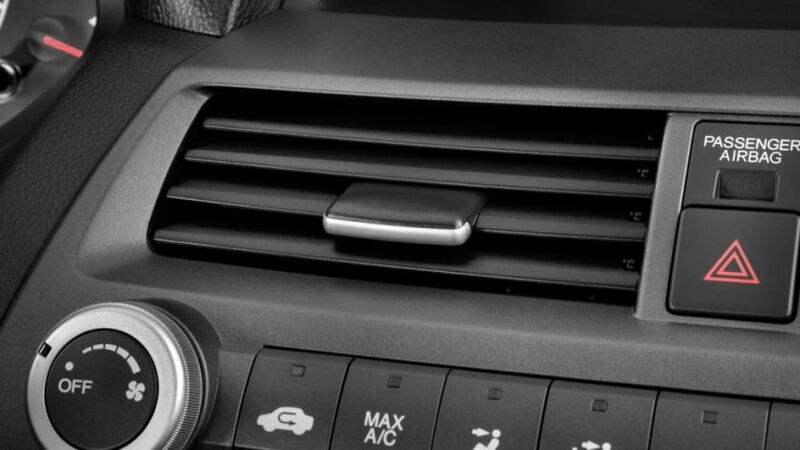 Place a probe thermometer into the lower air vents on both the driver and passenger sides. Any reading around 115F-120F (46C-49C) is acceptable. Some vehicle manufacturers boast their heaters will do 135F-155F (57C-68C) which would make things very toasty indeed. If the temperature is OK, and the cabin of the vehicle is still not getting warm, it might be down to a problem with the fan blower or the ductwork under the dashboard.